National Post has run this just the other day, by Garry Marr. Important to see all angle the Canadian Market. Canada Mortgage and Housing Corp., the crown corporation that is the largest mortgage default insurer in the country, is paying Ottawa a $240 million dividend. Despite the payment, CMHC said Tuesday federal regulatory changes brought into the market in the fourth quarter of 2016 decreased the size of the insured mortgage market. During the second quarter, the Crown corporation provided mortgage loan insurance for almost 79,000 units across the country. On a year-to-date basis, almost 125,000 units have been insured. “Volumes decreased largely as a result of the new regulations,” said CMHC, referring to new income tests that have forced consumers with less than a 20 per cent down payment to qualify based on the Bank of Canada five-year posted rate, now 4.84 per cent, as opposed to the lower rate on their contract. Under federal rules, consumers with less than 20 per cent down must get mortgage default insurance which protects banks in the event of default. CMHC is the largest player in the sector followed by private entities Genworth Canada and Canada Guaranty. CMHC said it continues to see an improvement in the quality of its mortgage loan insurance portfolio, which was 0.29 per cent overall in the second quarter. It said during the first half of 2017, the typical CHMC-insured homebuyer an average mortgage of $255,014 with an average credit score of 752. The average gross debt service (GDS) and total debt service (TDS) ratios were 26.7 per cent and 36.5 per cent respectively. As of June 30, 2017, CMHC’s total insurance-in-force was $496 billion – below its legislated insurance-in-force limit of $600 billion. Net income (after taxes) for the second quarter was $397 million and, based on the continued strength in the sector, the decision was made by CMHC’s board to issue the $240 million dividend payable to its shareholder, the government of Canada. Educate yourself with us than get a free consultation set up, before you are going to talk to the banks or hire us! We are very good at saving you a lot on your mortgage. You are my inspiration, I have few blogs and rarely run out from post :). “Never mistake motion for action.” by Ernest Hemingway. Our Alberta mortgage service areas include: Calgary, Edmonton, Medicine Hat, Lethbridge, & Fort McMurray. MyMortgagePros, Your ultimate guide to the the mortgage process. In submitting this application, you authorize Mortgagepro Ltd. and Private Lender Inc., and/or its assignees to obtain reports containing credit and/or personal information as required for the purpose of determining credit worthiness. All information that is obtained is held strictly confidential. 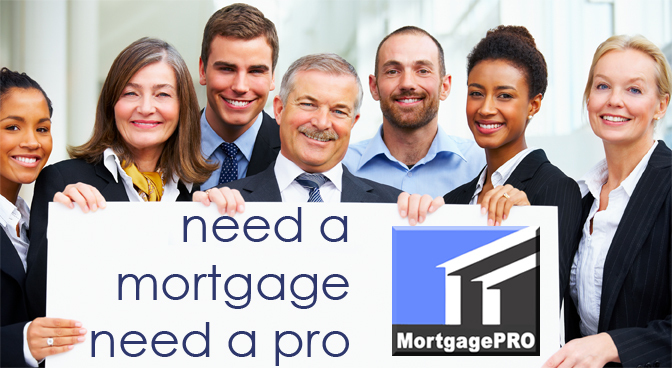 Also by submitting our email information, we agree to receive promo and informational material from MortgagePRO and or their affiliates by email.